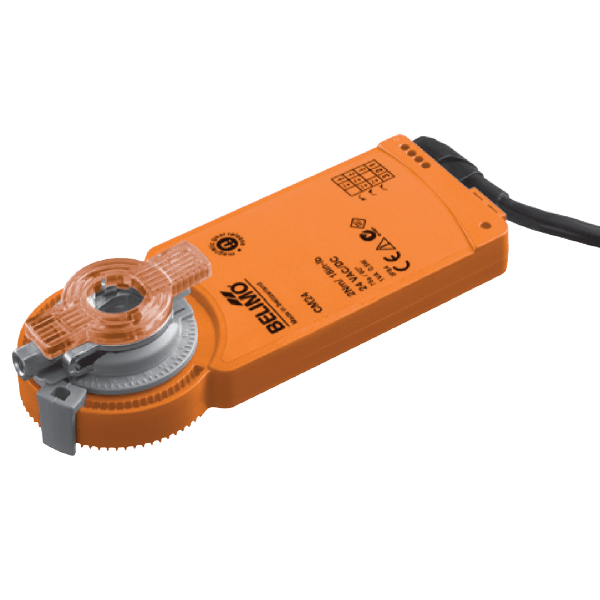 The Belimo LF230 and LF230-S are used for the operation of air dampers that perform safety functions (e.g. frost and smoke protection, hygiene, etc.). Dampers up to approx. 0.8 m2, with open/close actuator (AC 230 V), controlled by single-pole contact. The application is for the operation of air dampers that perform safety functions (e.g. frost and smoke protection, hygiene, etc). 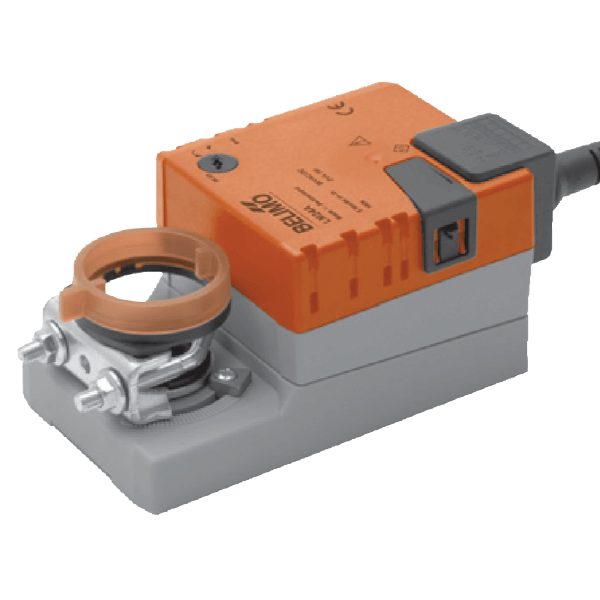 The mode of operation for the LF… actuator moves the damper to its normal working position while tensioning the return spring at the same time. 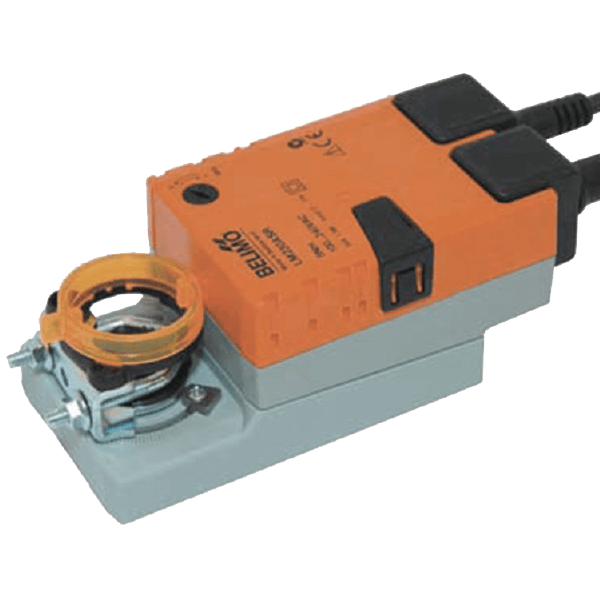 If the power supply is interrupted, the energy stored in the spring moves the damper back to its safe position. Simple direct mounting on the damper spindle by universal spindle clamp. An antirotation device is supplied to prevent unwanted rotation of the whole unit. Mechanical angle of rotation limiting adjustable with built-in stop. High functional reliability. 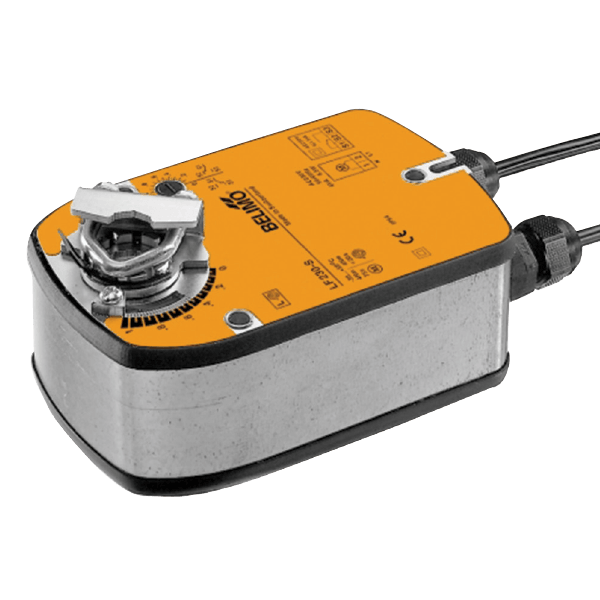 The actuator is overload proof, needs no limit switches and halts automatically at the end stop. Flexible signalling 0…100% , with adjustable auxiliary switch (LF230-S only).